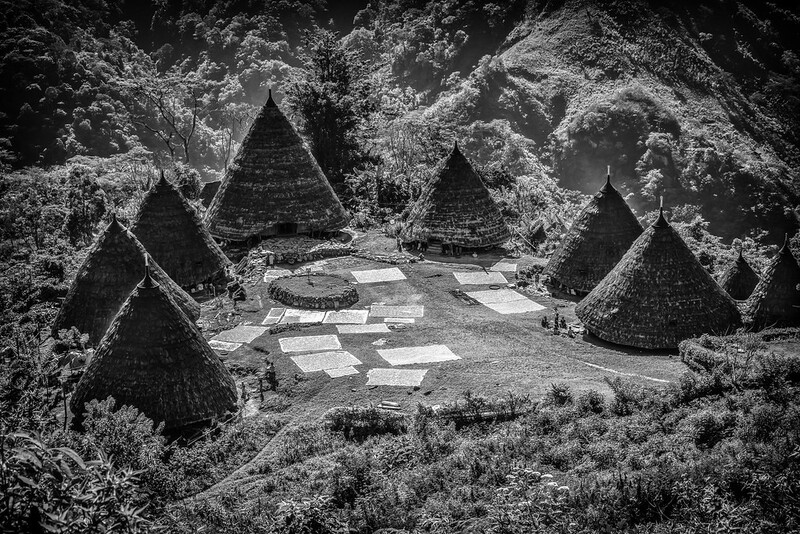 In the mountains of Flores lies the remote traditional village, Wae Rebo, on top of a picturesque mountain 1,100 meters above sea level. In 2012, the UNESCO Asia-Pacific Heritage Award for Cultural Heritage Conservation honoured the village with an Award of Excellence for its efforts to preserve its traditions and culture. 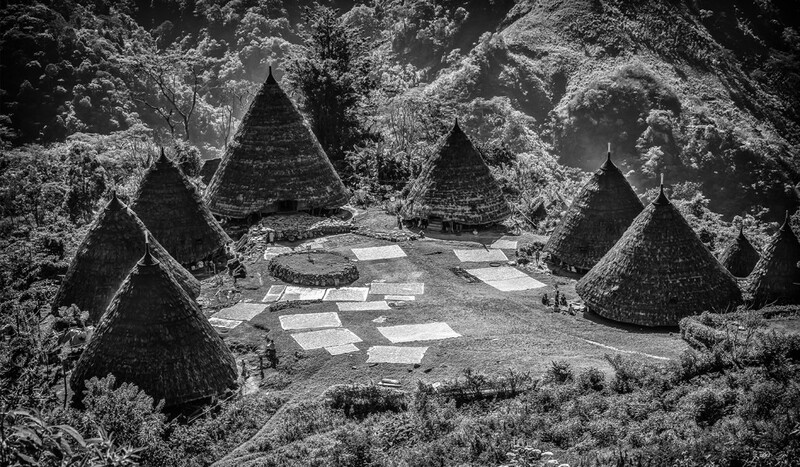 Wae Rebo is home to the traditional cone-shaped Mbaru Niang homes which are typical of Manggarai tribes. These unique homes are constructed entirely without the use of nails, consisting of a wooden structure which is covered with layers of palm leaves, giving it a massive roof and distinct cone shape. 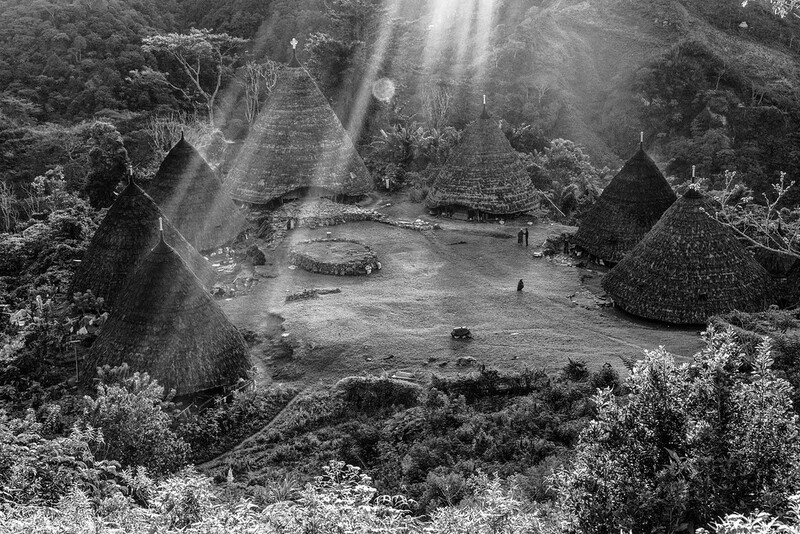 Unlike other traditional villages, Wae Rebo is home to one single clan whose ancestor, Empu Maro, established the village 100 years ago. 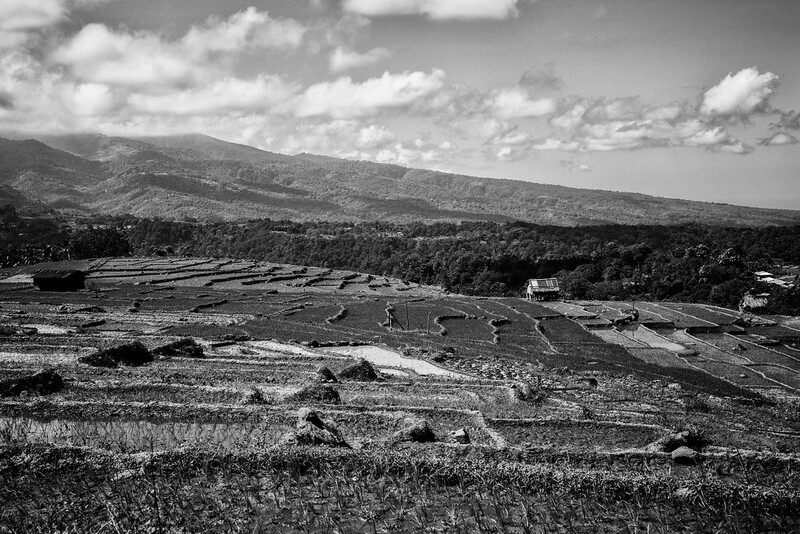 Today the 18th generation of his descendants have strived to keep alive Manggarai traditions. Visiting Wae Rebo is to step back in time, there is no cell phone reception, no wi-fi, and the only electricity is provided by a small solar panel. The houses consist of five levels with each serving a separate purpose. Level 1, lutur or tent, is the living area for families. The second level, lobo or attic, is for food storage. The third level, lentar, to store seeds. The fourth level, lempa rae, is reserved for food stocks in case of drought and the fifth level, hekang kode, and most sacred is kept for offerings to the ancestors. Wae Rebo is located near the town of Ruteng though most people choose to stay in a homestay in a small village called Denge located at the starting point of a 9 km hike uphill to Wae Rebo. We decided to go Denge from Labuan Bajo by private car hire via a 7 hour scenic, but tumultuous drive and hike to Wae Rebo to stay overnight there. May decided to stay in the Denge village while I hiked to the top. It was an arduous trip, mainly due to the poorly maintained one-lane very windy road that leads to Denge. We enjoyed the beautiful scenery and excited children along the way yelling “bule (boo-lay),” which means foreigner. They seemed so excited to see tourists and a group of kids showed off for us when we stopped for a rest along the road. The only way reach the village is to hike 9km up a mountainous trail which was a bit of a challenge during the mid-day heat. It was well worth the hike and I was not the only one on the trail. Doing the hike on a Sunday, the trail was crowded with villagers bringing sacks of coffee beans down from the village and hauling supplies up to the village. 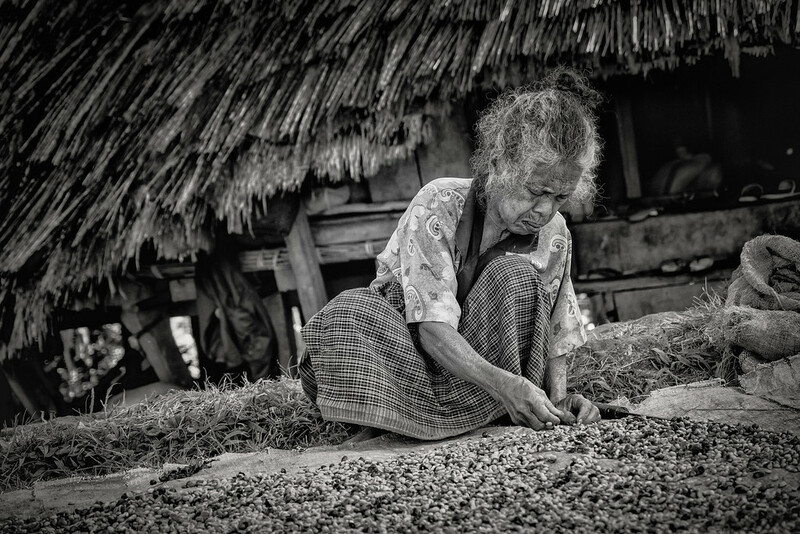 Sunday and Monday are the two days of the week that they resupply the village by selling coffee beans at the market in Ruteng and purchasing supplies. After meeting many villagers on the way to the village during my many rest breaks, I finally reached the part of the trail that would descend down to the village. Before entering the village, I had to signal my arrival by ringing a bell located in a stand just above the village. 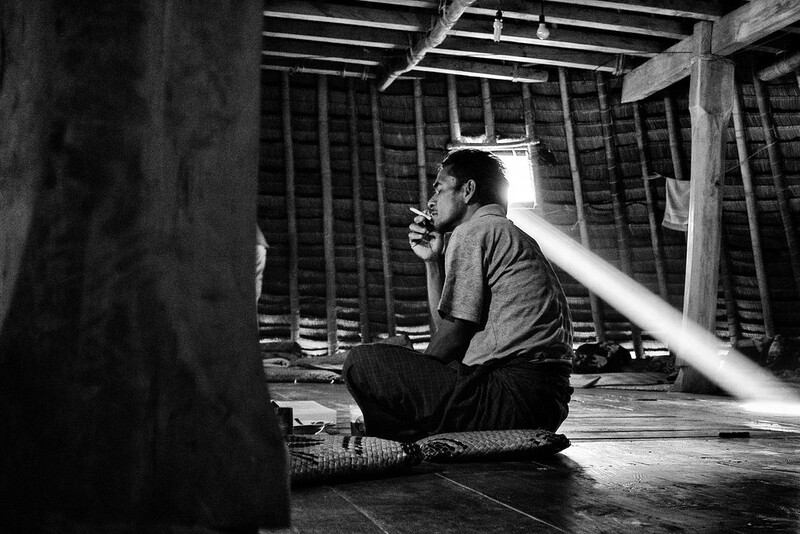 Once I reached the village I greeted the chief and gave my offering to him, 20,000 IDR in the drum house. 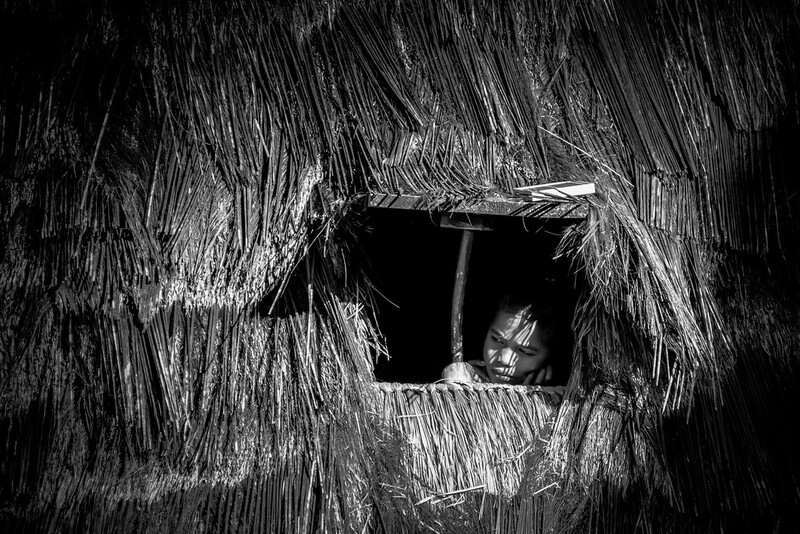 The structure of the village includes the traditional houses, a drum house which is the symbol of the unity of the clan and a communal building and an altar. In front of the drum house is the compang, a stone altar where the souls of the ancestors are believed to stay. 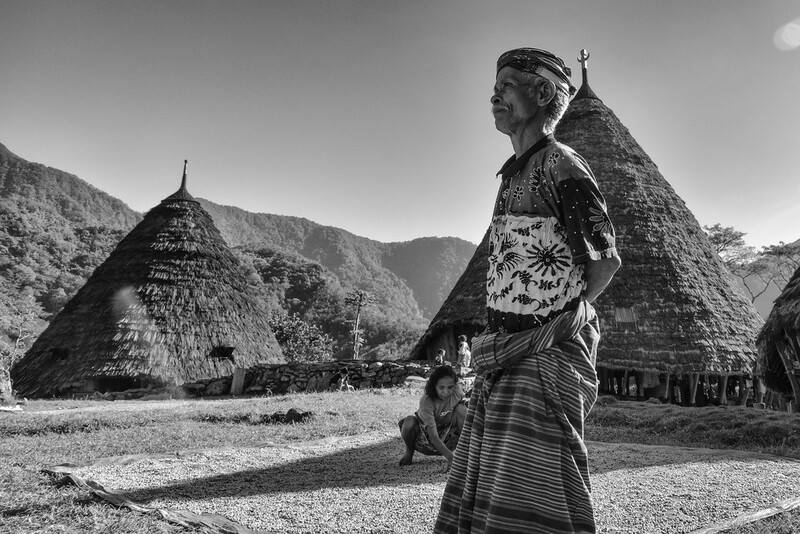 Wae Rebo is the only village in the Manggari district that has the complete village structure. Staying overnight in the village was a great experience and highly recommended. I woke up early for sunrise, hiking up to the “kids house” for a good vantage point. Sitting in the silence of the morning, I thought about how lucky I was to be able to visit this village. Surrounded by the mountains and taking in all the wonderful scenery as the sun slowly rose above the mountains was a wonderful experience. After watching the sunrise, it was time for breakfast so I headed back to the guest conical house. There was very little activity in the village aside from some villagers pounding maize, one of the staples of the villagers diet. Once I arrived back at the guest conical house, breakfast was waiting. It was a tasty traditional meal, a good way to start the day off before I would have to hike back down to Denge village. 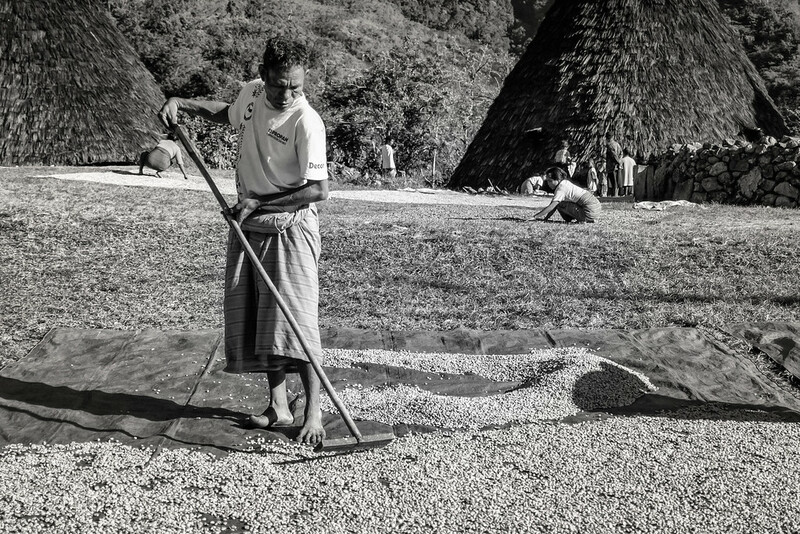 Once breakfast time was over, the village came to life as the villagers began to lay out the coffee beans they had harvested for drying under the sun. Watching everyone move around, laying down tarps and then spreading bags of coffee beans on them was interesting. They would rake the beans so that they were evenly spread out and would then sort through them. Once everyone had laid out their coffee beans, the village became quiet again except for the children that were out playing. This signaled it was time for me to start my hike, at least it was downhill this time. Flores island in Indonesia is only a 90-minute flight from Bali but feels like it is a whole other country. Not long ago it was a remote backwater on the Indonesian tourist trail but is gaining more visitors each year. Of the four islands we visited during our time exploring Indonesia, Flores rewarded us with diverse culture and traditions, warm residents, and stunning natural beauty. 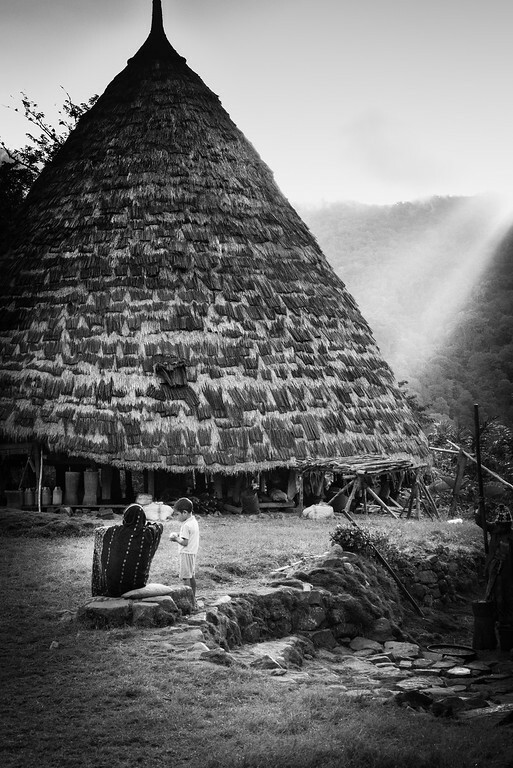 One highlight of the two weeks we spent on Flores was visiting the remote mountain village of Wae Rebo.